The next couple of days were spent preparing for our journey under the sea. Under the eerie light of a sallow sky and umber sun, a product of dust carried in by Hurricane Ophelia, Paul replaced the gears in the REMIstar sunroof and tinkered with the aerial for Bertie’s radio while I made lists of things we needed. 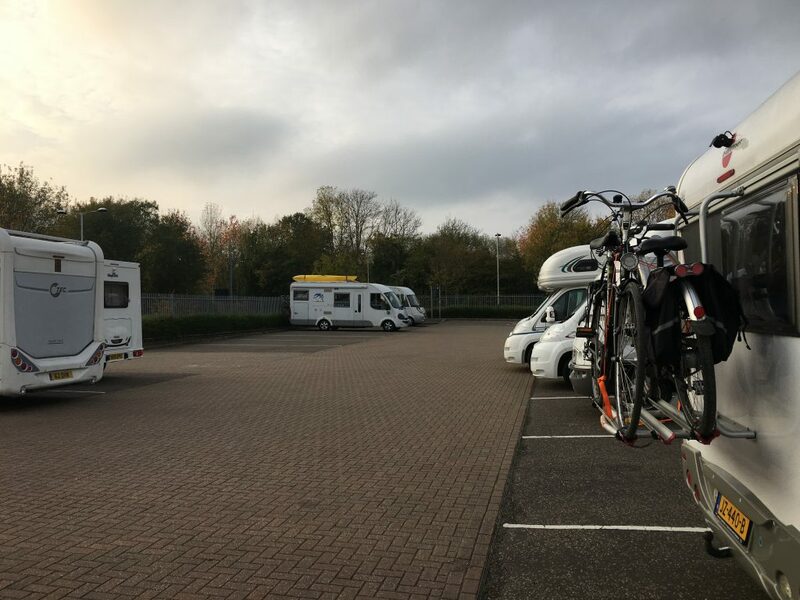 First on the list was two more new tyres, so we used blackcircles again and booked up a morning visit to Autokwik near Maidstone. 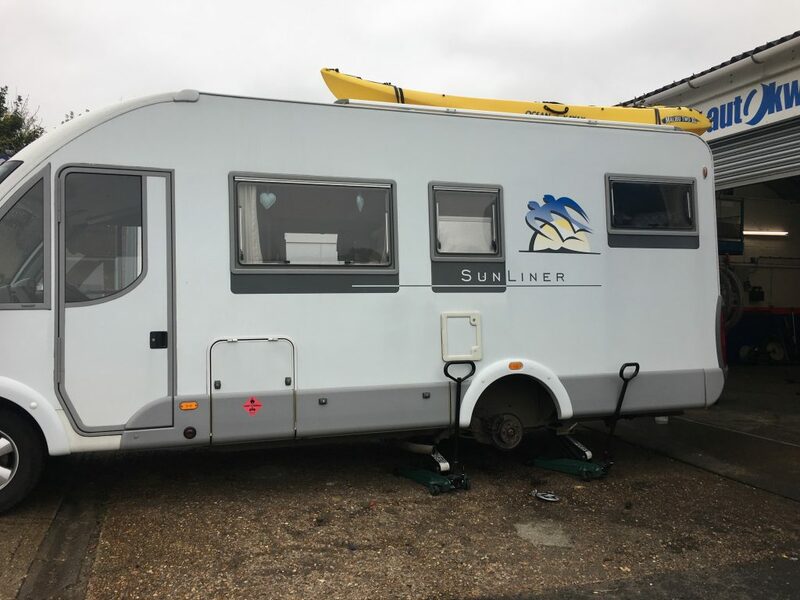 Also on the list we wanted some additional locks for our garage which seems the weak point on the van, a key cut for the habitation door, and the makings of a headboard for our bed so that we stop head-butting the window blind. Plus of course shopping for anything we think might be difficult/expensive to purchase in Europe. For me that’s tea, although I like my tea black and relatively weak I’m not keen on Lipton’s yellow label and wanted to take some of Tesco’s everyday tea away with me. I’ve bought enough for three tea bags a day – which is never going to be enough for my tea habit! We had a couple of overnight stops in Kent; one free parking spot near Maidstone at Barming church – I was uncomfortable about parking outside a church to start with but actually the area was so large I think there would only be problems if there was a service scheduled – and one night at the Aire in Canterbury’s park and ride carpark – a good example of what local authorities can do to welcome motorhomes if they put their minds to it. We spent a couple of hours in Canterbury doing a spot of shopping, but were a bit put out when we realised we couldn’t get more than a glimpse of the cathedral without paying £12.50 each as there was a single charge to enter the grounds and the cathedral. As we didn’t have time to do the interior justice we decided not to go in, a shame that they don’t have a lower fee for just taking a walk around the outside. We made do with a quick amble around the streets of the old city where there are plenty of timber framed buildings and narrow streets to provide interest.